While every inventor wants his/her product to reach the market first, it is not often an easy task. The technical capabilities required are many in number and the unknowns are greater. This is even truer for medical device first-time entrepreneurs who have a prototype and are maneuvering through processes, FDA requirements, certifications and mass manufacturing know-hows. A medical device almost always is a combination of hardware, firmware and software, forming the essential components of the product. While Agile methodology has been in practice for a while in the traditional software industry, the medical device industry is now gaining confidence in this product development method supported by new FDA guidance specific to Agile methodology in Medical Devices Product Development methodology. collaboration via team input at all stages (via the formation and product development in sprints). Industry validated benefits of Agile. 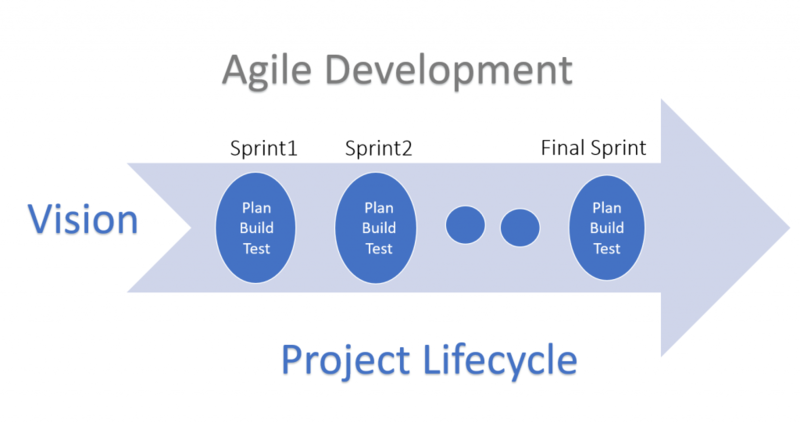 It’s been seen that the Agile development method results in a faster return on investment. Since Agile is an incremental process, the features are delivered in sprints. The sprint duration and scope are defined such that a testable feature (with requirements and testing) is complete and provided for feedback. When done properly, products and features have a faster time to market release. There is a higher level of customer satisfaction using Agile. In this process, the product owner (or the client or customer) is involved in the progress of development, so they always have high visibility into their product. This then translates to a quick throughput of the feedback into design, leading to higher engagement and customer satisfaction. It is typically seen that products developed via Agile methods have a higher product quality. As is the case with any new process, there has been skepticism in adoption of the new method. This sentiment is more about caution for the unknowns in deviating from the known-waterfall method, especially when the current methods have been proven to be a success in the past. The medical device industry is intensely complex with high regulations, process needs, data security, interoperability and constantly evolving with new technologies. If too difficult to develop a product entirely using Agile, it is best to adopt a combination or a modification to the practices and still be able to utilize the benefits. Define your Sprint team: This is where the composition of a sprint is defined. The sprint must have a well-rounded team which has a member from all cross functional groups. This is more important in medical devices with each product requiring mechanical, electrical, electronic, software, manufacturing, clinical, quality expertise, all working in conjunction. The idea is that each team member provides their input in product design at every stage of development. Plan your Sprint: The objective of this plan is to know how much of the work can be completed in a defined period i.e. sprint duration. The sprint duration should be a logical duration taking into account the complexities of the project—this could be challenging considering at times large lead times with suppliers. This plan should include the QMS deliverables. Define User Stories: Define comprehensive user stories that include a clear outcome of the product design feature for a sprint duration. Standups/Huddle: Meet your time every morning. The general idea is each member gives an update of the tasks, states impediments and the plan for the day. This is a great way to identify cross functional product related problems at early onset. Demo the sprint: This demo can be a short presentation with all the stakeholders. This is an opportunity to highlight the achievements not just a project progress. Detailed guidance on the use of AGILE practices in the development of medical device software can be found here. The Technical Information Report (TIR) by the ‘Association of Advancement of Medical Instrumentation’ (AAMI) lays out the agile manifesto in relation to IEC 62304, ISO 13485, ISO 14971 and ‘FDA CFR, Title 21, Part 820.30’. 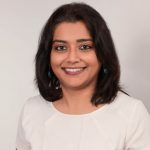 Promita Hazra is a Project Engineer/Manager at StarFish Medical. Currently completing her MBA, Promita holds a BS and MS in Biomedical Engineering. She has worked as an Engineer with the FDA, and a Project Manager at Philips Healthcare and Masimo. This is her first StarFish blog.